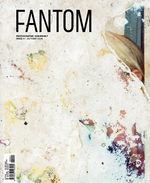 FANTOM with an F, is a new international publication about the uses and abuses of photography. It is about the art of capturing timed effects of light. For practitioners and professionals by professional practitioners, FANTOM enframes its content in sectors: EYE TO EYE where photographers converse; SAMPLE SIZE with ready made discoveries by excellent eyes; BY APPOINTMENT ONLY offered by a collector or about a collection; EYE OF THE BEHOLDER, where gallerists celebrate the time based talents they expose and trade; and MEANS TO AN END surveying the unintentional surprises of purposeful image production, i.e. scientific, commercial, surveillance, documentary and the like. Herein the vernacular can take precedence over the artistic and visa versa depending on the value not of a discourse that comes after the image but allowing pictures to lead the discussions. A voyage into photography, FANTOM will orient readers and viewers in the scaled horizons drawn by photography and those who critique, exhibit, collect, occupy and emulate it. 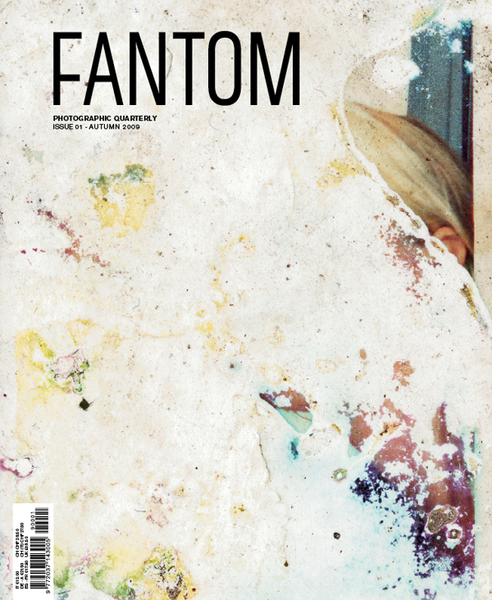 Found, forgotten and not yet discovered, first and foremost FANTOM features the voice of photographers, in interviews, portfolios, and statements alongside the often silent but rarely without a voice medium of Fotography. Cay Sophie Rabinowitz is a contemporary art writer, curator, and producer based mostly in New York and sometimes in Berlin. She has been Artistic Director of Art Basel and Art Basel Miami Beach and Senior Editor of the contemporary art magazine Parkett from 1998-2007. Since 2000 she has been a faculty member of Parsons The New School for Design’s graduate programme of photography. In 2009 she co-curated the 2nd Athen’s Biennale and a number of projects with artists for Art Production Fund Lab in New York. She now works with Hauser & Wirth, New York. Selva Barni was the Photography Editor of Italian monthly Rodeo from 2005-2008. She previously worked as freelance photographer and assisted photographers Ralph Gibson, Robert Polidori and Sally Gall in New York. She studied in Milan and completed her education at MoMA’s Photography Department. She lives in Milano.